One of the most annoying features of the iPhone has to be not being able to type your emails in landscape mode, and if your iPhone typing skills are like mine then I am sure you would agree, well now there is a solution to this problem in the form of a new iPhone App called Touch Type. 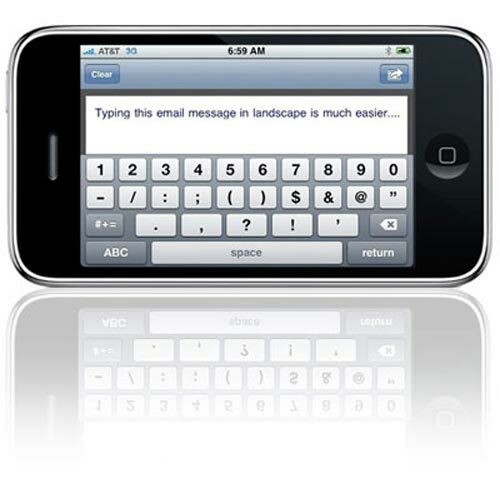 Touch Type allows you to write and compose your message in either portrait or landscape mode, and once your message is finished it is sent to the iPhone mail app for dispatch. The developer Michael Schneider is currently adding support for text to be sent to the iPhone’s Notes program and also the ability to save extracts of text for reuse in the iPhone’s mail app. The Touch Type iPhone app is available to buy from the iPhone App store for $0.99, here is the direct link to iTunes.